It's Halloween and Fox and his friends are looking forward to it, until Fox's little sister wants to come along. They scare her away, but she plays a trick on them. This makes them wish they had been nicer to her. 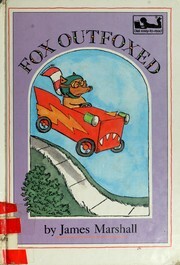 Marshall, James, “Fox outfoxed,” Children's Picture Book Database at Miami University, accessed April 25, 2019, https://dlp.lib.miamioh.edu/picturebook/items/show/8700.